You are trying to install ManageEngine Mobile Device Manager Plus and the installation has failed. One of the possible reasons for this could be that, you do not have permission to write in the PGQSL database folder. 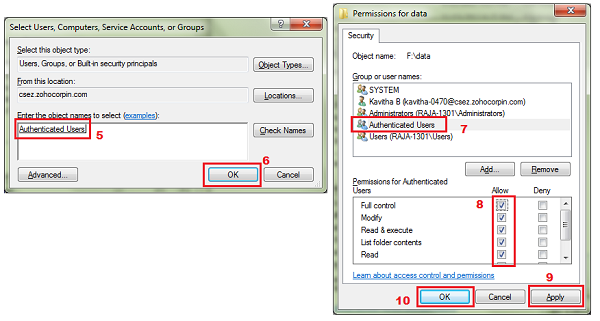 One of the PGSQL database folder named "data" should have Authenticated User permission. This folder is located by default in C:\Programs Files\ManageEngine\MDMServer\PGSQL \data. Navigate to the location C:\Programs Files\Desktop Central\PGSQL \data. Right click to start the service. 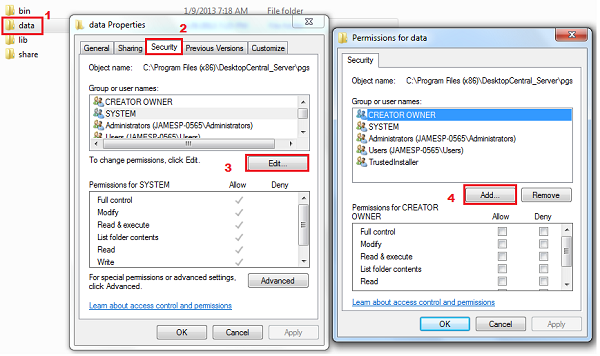 Mobile Device Manager Plus installation should succeed. If the problem still persists contact our product specialist for further assistance. Note: "Authenticated Users" is the convention taken from Operating system (English version) Please find the equivalent authentication if you are using a non-english version of Operating System. After removing the server installtion, retry the installtion process by speciying a different storage location other than C: \Program Files. For example: C:\ManageEngine -->Mobile Device Manager Plus. You will be able to install Mobile Device Manager successfully. If the problem still persists contact our product specialist for further assistance: mobiledevicemanagerplus-support@manageengine.com.